Among the highlights of Accra are the National Museum, with its splendid display of exhibits that reflect the heritage of Ghana from prehistoric times to modern times, the National Theatre with its distinctive modern architecture, the centre for National Culture, Independent Square, the Kwame Nkruma Mausoleum, the fishing port at James Town and Makola Market. Homowo (hooting at hunger) is one of the colourful festivals celebrated by the people of Ga (Accra) Traditional Area. It is characterised by rituals such as the sprinkling of "Kpokpoi" (the festival dish) to the gods and ancestors for spiritual protection, procession of twins through the principal streets, traditional drumming and dancing and general merry-making. A month before the celebration, there is a ban of noise making. A climax of the festival is that from 12 noon to 6:00pm any woman, no matter the status, should accept a hug from a man on the festival street. 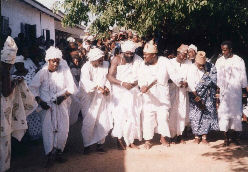 Asafotifiam is an annual festival celebrated by the people of Ada. It commemorates the victories of their warriors in battle and those who fell on the battlefield. The historic event is re-enacted. There are also purification ceremonies, a durbar of chiefs and firing of musketry. 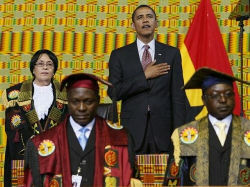 It is celebrated on the 1st Saturday of August in Accra. It is an annual festival to facilitate the recovery of the Sakumo Lagoon for bumper harvest. Preceding the festival is a five-month temporary ban on fishing and trapping of crabs in the lagoon. On the day of the celebration of the festival, the chief priest/priestess of the Sakumo lagoon perform some rituals at the banks of the lagoon before the general public is permitted into it. The climax is a grand-durber of the chiefs and people and general merry-making amidst free-for-all hugging. 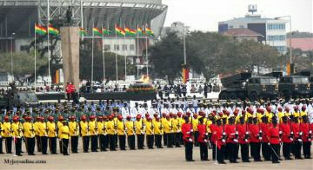 It is celebrated in the period of March/April by Tema Municipality. Key fauna: Kobs, Baboons and Guinea fowls, Francolins, Grey hornbill which are just a few of the 150 birds recorded in the reserve. 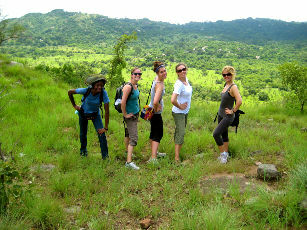 There are grey duiker, bushbuck, civet, genet, velvet monkey and spot-noised monkey. Other Features: Ancestral caves (ancestral people of the area hid in during wars in the olden days), Ancestral revered shrine of Dangme Shai people. Aburi botanical gardens, Wli waterfalls, Akosombo dam (the power house of Ghana), Christiansborg Castle (Accra), Accra Zoo, National Theatre, Kwame Nkrumah Mausoleum, Du Bois Memorial center, Independence Square, etc. This Ramsar site lies just West of Accra. The River which feeds the wetland is about 116 km long, and it has an area of about 2,460 km2. The construction of the Weija dam in 1978, just 8 km inland from the Atlantic sea, reduced the effective catchment area of the Densu Delta Wetland to about 60.5 km south of the dam. The eastern and northern sides of the Wetland are heavily populated. e.g. Dansoman, Kwashieman, Mallam,and Mendskrom. There are about 20 farming and fishing communities/settlements within the Ramsar site. The-Weija dam which supplies water to half the population of Accra receives its water from the Densu. Sakumo lies between Township where urban development is within a few hundred meters of the eastern margin of the lagoon. The effective catchment area of Sakumo Ramsar Site is approximately 27,634ha but the water bodies including the lagoon, reservoirs and area liable to flood is 812ha. 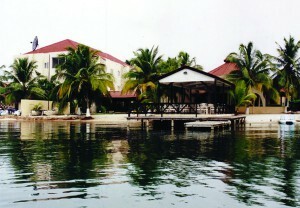 Economic activities along the lagoon are fishing, farming, industrial development and recreation. It is estimated that fishermen make about 2.2 to 4.8 million cedis annually as income. The fish yield is estimated to be about 114 tonnes with a maximum potential of 120 tonnes annually. The lagoon sustains about 20 - 150 fishermen every day. Studies done in the area since the early 1970s show the potential for fish aquaculture, but there has been no attempt to pursue this enterprise. Is a popular resort area and a favorite base for water sports and game fishing. 25km west of Accra, Kokrobite is also home to the Academy of African Music and Arts.One great little hostel is called Big Milly's Backyard, a small hotel for rucksack travellers. A garden surrounded with walls with small houses, rooms, cold beer and a snack three times a day. Wendy is Big Milly. A somewhat elder English woman who found her spot in Ghana. Very nice setting and well worth the short drive out of Accra. 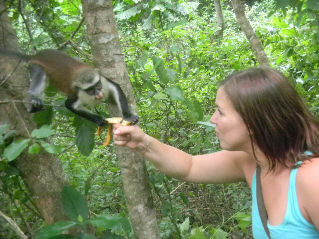 Definitely worth the short drive out of Accra. Next Door, a perfect and excellent beach resort-complex is a model of excellent of international standard worthy of mention. 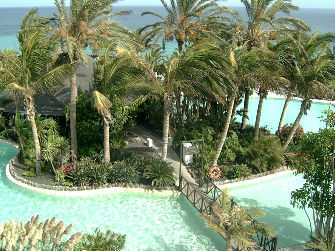 The peace and tranquility reigning in the hearts of lovers and people are ever present at this resort. It is simply a pictorial story you need to see and consume as first hand information about this earthly paradise, which is on the Accra-Teshie road.After passing by the Military Academy and its environs, driving towards the township of Teshie, Next Door can found on the right side of the road. The impression at first sight is the exotic nature of things, which help to embellish the place bringing it into an international focus and standard. The vivid and scenic beauty of this resort with a cluster of coconut trees for shade is the gift of nature, which has encompassed this beautiful spot. At the lower terrace, a wing, which is of historical tourist potential and attraction, has a catchments area of cement enclosure where the sea flows directly shortly would be developed into a swimming pool. Each side of the enclosure is bordered by a cluster of huts with thatched roofs, open and airy for relaxation after a hard day's work. A terrace bar service caters for customers and a growing clientele of tourist of different nationalities. The serenity and the breeze winds from the Atlantic Ocean and its morning dews act as natural health tonic for the relaxation of the mind and body. 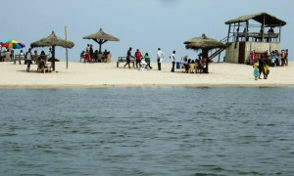 Cocoloco Beach is located at Ada Foah - about an hour east from Accra where the Volta River meets the Atlantic Ocean. The area is a natural paradise and a breeding ground for a variety of sea turtles. The Volta Estuary is also a sanctuary for an enormous number of birds. 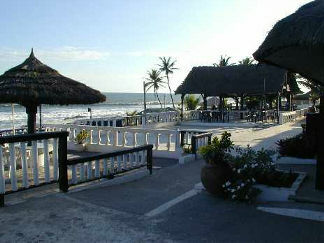 Cocoloco has camping and accommodation in a number of bungalows built in a traditional thatch style. Nightlife in Accra is rather quiet on weekdays but livens up considerably during the weekends. The events calendar is slow throughout the year and only seems to be really packed at Christmas; Accra however offers some good entertainment, both cultural and club varieties. There are a number of nightclubs and bar in Accra and some of these are located right at the doorsteps of the major hotels. They have cozy lobbies and bars that set the mood for a good evening, with some hosting cultural displays and live bands at their poolside. The Osu area is by far the swingiest part of town for entertainment. Many of the cities best nightclubs can be found here. All night dancing takes place around Kwame Nkrumah Circle, the part of the city, which doesn’t sleep. You can get almost anything here at any time of the day or the night. Many other neighbourhoods like Abeka La Paz, Asylum Down, Adabraka, Teshie-Nungua, Bukom and Dansoman all have a variety of bars, nightpots, and joints that offer great entertainment and dancing to recorded and live music.